Oxygen Tanks, Oxygen Carts and Holders, Oxygen Compressors and Oxygen Accessories. Scroll down to see our selection of Oxygen Related Products for sale. Oxygen related products are used by physicians and individuals everywhere. We carry a large selection of oxygen related items such as oxygen tanks, oxygen carts and holders, oxygen masks and cannulas, oxygen compressors, oxygen cylinder tools and accessories. What are oxygen related products? 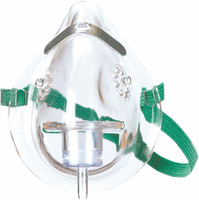 Oxygen related products are any item intended for oxygen therapy. Oxygen related equipment is widely used in facilities to maintain the health of a patient by delivering the proper amount of oxygen needed. People with difficulty breathing also use oxygen related items like portable tanks, masks and cannulas to help regulate their oxygen levels during daily tasks. Oxygen compressors are oxygen related items that allow the individual to refill their portable oxygen tank between uses. From facilities to the home, the proper oxygen related equipment can get you breathing again..